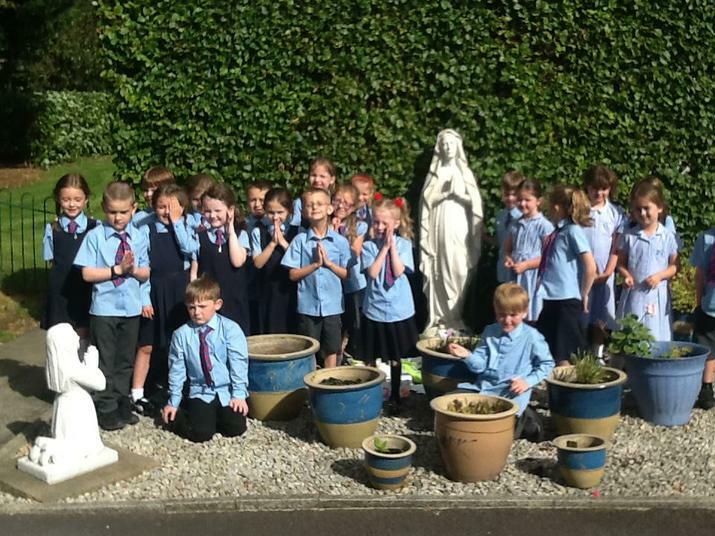 On Thursday 8th September, we celebrated Our Lady's birthday. 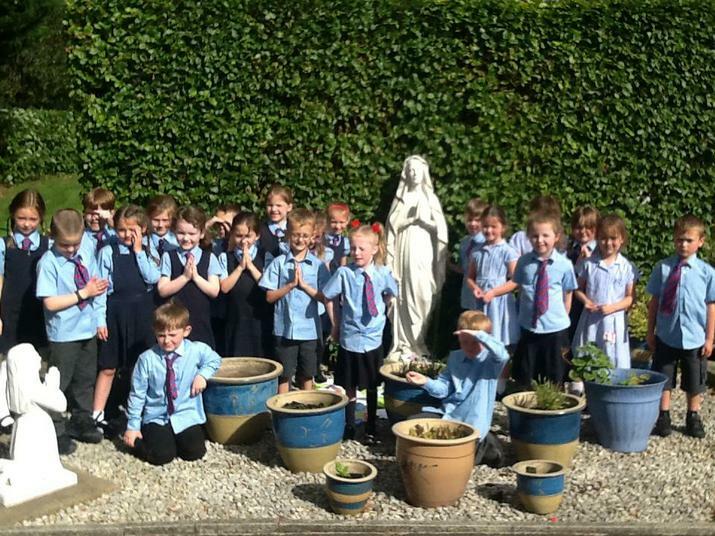 The children worked with Miss Dean on Wednesday and learned many facts about Mary's childhood. 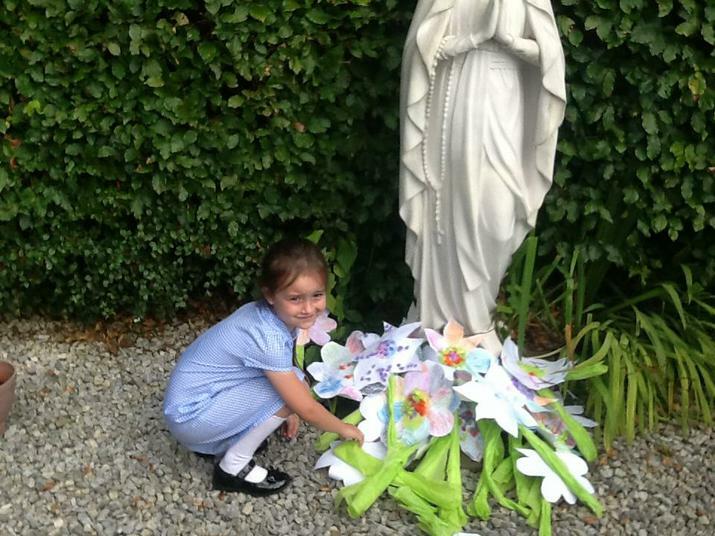 They also made flowers from their work and birthday cards. 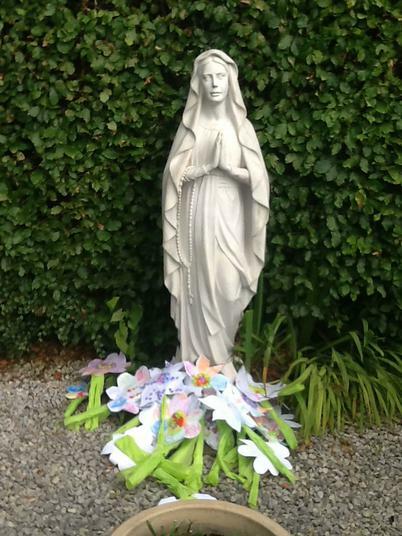 On Thursday, some children wrote Mary a letter and all children completed an acrostic poem.